2016 Nissan Titan XD 5.0L V8 Turbo Diesel Truck to be Launched Later this Year: Pre-Order Now! Post Falls, Idaho: Findlay Nissan is excited to announce that the new 2016 Nissan Titan XD is now available for pre-order at their Post Falls location. 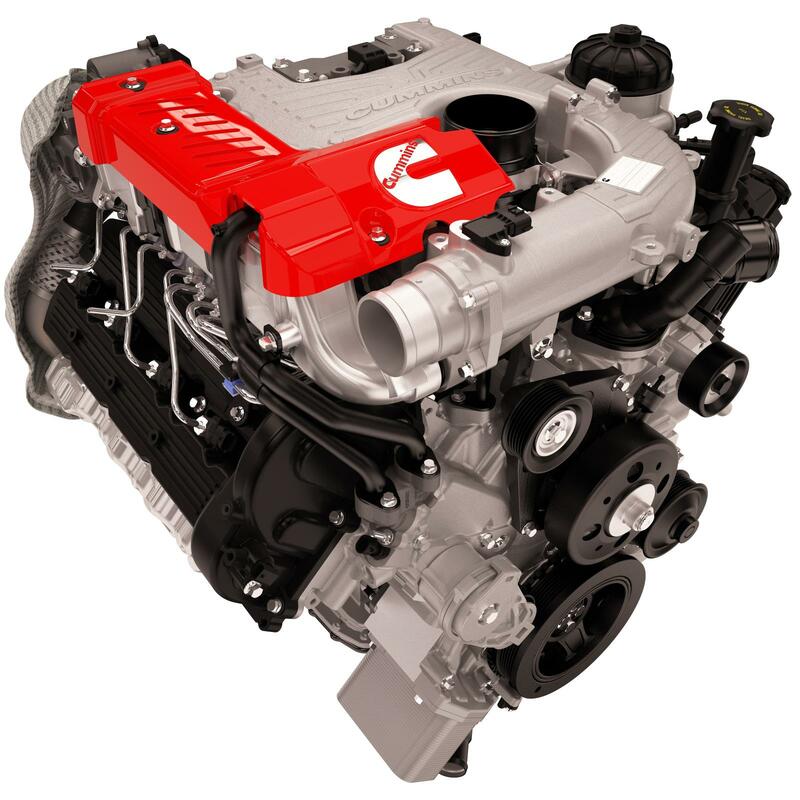 The Cummins-powered truck will be launched late-summer; although initially available in extra strength XD with a Cummins V-8 Diesel engine, Nissan will release a V-8 and V-6 gasoline option shortly after the Titan XD’s debut. The Titan XD, weighing in at more than 8,500 pounds, has 555 LB-FT of torque helping you haul the boat, camper, and any trailer up to 12,000 pounds on any drive that the road can throw at you. In addition, the bed of the truck can hold up to 2,000 pounds. It also packs in 310 Horsepower with its 6-speed Aisin automatic transmission. In the XD’s debut, the 4-door crew cab has a 151.6-inch wheelbase and a 6.5-foot cargo bed that is available with either four-wheel drive or two-wheel drive. The dimensions of the truck are a height of 78.7 inches, a width of 80.6 inches, and a length of 242.9 inches. With the release of the gasoline V-8 and V-6 models, Nissan will also release three bed lengths: standard, extended, and crew. The Titan, sitting on a steel frame, has wheel sizes between 17 and 20 inches. Its four-wheel disc brakes measure at least 14 inches across. As a result of the Titan’s turbo diesel engine, the truck will receive better gas mileage creating a more frugal fuel economy. The bed of the Titan XD has been redesigned to contain a gooseneck hitch. This hitch is engineered into the frame and can pull more than five tons. The bed also includes a Utili-track cargo system with LED lighting. For its pre-order, the Nissan Titan XD is currently available in five colors: Forged Copper, Magnetic Black, Cayenne Red, Pearl White, and Deep Blue Pearl. “This is a pretty nice looking truck. Its appearance is fresh and modern…Up front, there are premium elements like available LED headlamps with LED running lamps, and out back, those same modern bulbs are used for the tail lamps. Inside, things are pretty cool, with high-quality materials used throughout and, from what we could tell while poking around early pre-production units, a very solid level of fit and finish,” says Steven Ewing, reporter for AutoBlog. Findlay Nissan Post Falls is one of Findlay’s 35 locations across five states. Findlay Nissan is accompanied by two other dealerships in Post Falls: Findlay Chrysler Jeep Dodge Ram and Findlay Hyundai Mazda. As a trio, Findlay Auto Post Falls was recently voted Best Auto Dealer in North Idaho 2015. Findlay Nissan offers new Nissan vehicles as well as used cars, trucks, and SUVs. Findlay Nissan services: Spokane, Coeur d’Alene, Post Falls, Liberty Lake, Hayden, Lewiston, and the entire Inland Northwest. 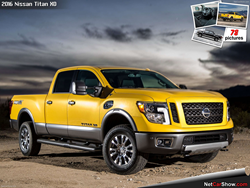 For more information or to pre-order your new 2016 Nissan Titan XD, please contact Findlay Nissan Post Falls at (208) 618-5005 or Toll Free at (877) 372-3157. Findlay Nissan is located at 1800 E Polston Ave Post Falls, ID 83854. Complete inventory can be seen at http://findlaynissanpostfalls.com.